What Are the Top Ethical Dilemmas in Science and Technology? Human beings are by no means perfect – we struggle with ethical dilemmas on a daily basis and fail in doing what we think or believe to be the right thing more often than we’d like to admit. Unfortunately, these failings are also articulated in our technology. To warn us of these failings, the John J. Reilly Center for Science, Technology, and Values at the University of Notre Dame compiles an annual list of what it determines to be that year’s top 10 ethical dilemmas in science and technology. 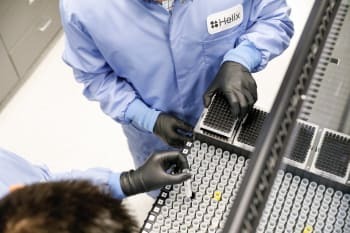 Helix is an online platform hosting deals and packages for DNA tests, essentially trivializing your genetic material into something of a party game, or conversation starter. For USD$80.00, Helix and its app makers sell you an interpretation of your genome, to deduce what makes you who you are, like your ancestry. Helix shares “small portions” of your genetic sequence with their partners who offer their specialized analyses. As they claim to be “backed by science,” it’s hard not to believe that they are making a game of it for profit, and this can be dangerous. When did our genetic material last affect how we made decisions in everyday life? It’s like relying on your horoscope, or following the advice from a questionable third party, rather than making your own decisions based on your experiences and personal preferences. How would potential customers educate themselves about the status of the research used to do genetic analyses? If we get into diagnosis, what role will the FDA play in monitoring these apps? How much does this kind of genetic prognostication actually improve the human experience? Black Mirror, Series 3, Episode 1: Lacie (Bryce Dallas Howard) is seen standing amidst a crowd, all glued to their cell phones in a world where social credit ratings determine every aspect of your life. The John J. Reilly Center makes this comparison, and I feel I have to as well: you ever see that episode of Black Mirror, called Nosedive, where everyone has a social credit score that determines how they live their lives and who they should associate with? China thought of it first, issuing a report back in 2014 titled, Planning Outline for the Construction of a Social Credit System. The plan aims to have every person and business in China associated with a mandatory grade level between 350-950 beginning in 2020. Everyone will be rated according to other’s interpretations of their “honesty in government affairs”, “commercial integrity”, “societal integrity” and “judicial credibility”. The Chinese government is currently compiling data on everything from shopping habits, credit ratings, online behavior, friend connections and more for each of its citizens and businesses. These scores will affect housing and school decisions, hiring, loan applications and more. On September 25, 2016, the Chinese State Council General Office updated a policy, titled “Warning and Punishment Mechanisms for Persons Subject to Enforcement for Trust-Breaking,” according to Wired Magazine UK. Ransomware is like a virus. It allows hackers to seize control of your computer or device and lock you out, while threatening to steal or delete your important files. Sometimes it masquerades as a government entity seizing your device. Most often, the criminals behind the attack demand the victim to pay a hefty fine. 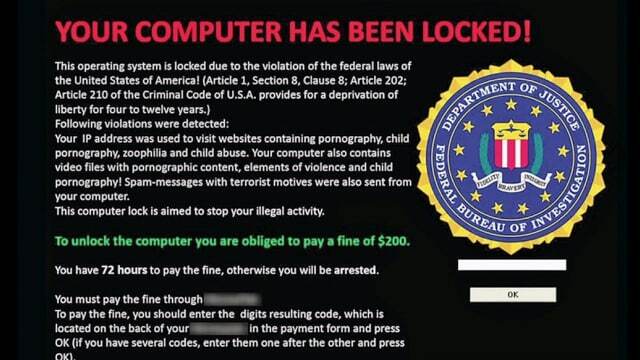 For those in the business sectors, ransomware is particularly dangerous. CSO Online lists some of the most recent largescale ransomware attacks. The site refers to instances where ransomware programs such as CryptoLocker, NotPetya and WannaCry seized victim’s information, shut down businesses and public utilities including hospitals and radio stations and even disguised themselves to appear to be hostile nation attacks. The John J. Reilly Center refers to an instance in which the CEO of a South Korean web design company, Nayana, was forced to pay USD$1 million converted into Bitcoin to attackers who stole the company’s customer information. The story was reported on by Gizmodo. Ransomware needs no speculation as to what the ethical dilemma is. It is important that everyone who uses the Internet for whatever purpose be educated as to the dangers of such malicious software and know how to prevent, or get around it. For those of our readers interested or involved in manufacturing, you can learn more about the dangers of ransomware and the Industrial Internet of Things (IIoT) by continuing to read with us here. The above are only three items from the top 10 list created by a team of Notre Dame undergraduates participating in a course titled "Man and Machine: Humanity, Technology, and the Future" through the Reilly Center's Science, Technology, and Values Program. To learn more about the Reilly Top 10 List of Ethical Dilemmas and Policy Issues in Science and Technology for 2018, click here.